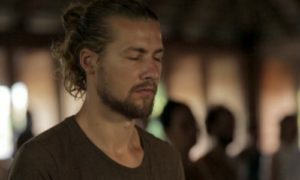 Andreas Daum is a meditation and hatha yoga teacher at Hridaya Yoga and currently serves as the Program Manager of the school. In 2014, he started to teach the Module 1 Intensive at the Hridaya Yoga Center in Mexico. He then led 10-Day Hridaya Silent Meditation Retreats during the summer season. Since then, he has offered yoga classes in the Canary Islands of Spain and taught multiple meditation retreats in the Sacred Valley in Peru and at Lake Titicaca. 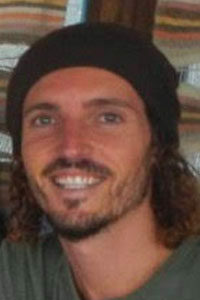 Andreas was born in Austria in 1985, but left his home and career to enjoy the flow of life. He travelled the world with his beloved wife and was introduced to the esoteric knowledge of yoga at Agama Yoga Thailand in 2009 and, later, at Agama Yoga Mexico. The spiritual insights he experienced deepened through direct experiences in Vipassana and Kriya Yoga meditation retreats and via studies with medicinal plants in South America. In 2013, Andreas found his real spiritual home (in his heart) in the Hridaya teachings and the sangha in Mexico. Since then, he has enjoyed helping guide people into inner stillness and to play his part in this wonderful and weird universe. When not meditating, Andreas constantly improves his knowledge about Astrology, Psychology and Mythology for a more integral understanding of the world and for his own excitement. His motto: “Reveal your own inspirations in life and be happy.” He loves to combine his interests with the teachings of Hridaya Yoga, Advaita Vedanta (non-dualism), Kashmir Shaivism, Sufism, and Tibetan Buddhism. Over the last few years, Andreas has integrated the teachings of Advaita Vedanta into his life, and he loves to share the teachings and the inspirations that come from a natural presence and stillness.